A couple weeks ago, my five year old niece asked me what Karma is. I told her that life is like a box. When you do something good, you put a good thing in the box. When you do something bad, you put a bad thing in the box. The same goes for neutral things. Karma is the force of the universe that deals you things from the box. So the more good things you put in the box, the more likely it is karma will deal you something good out of the box. It's a sensible explanation for a young girl, but Karma itself is an intricate, complex thing that reacts very specifically to our actions. 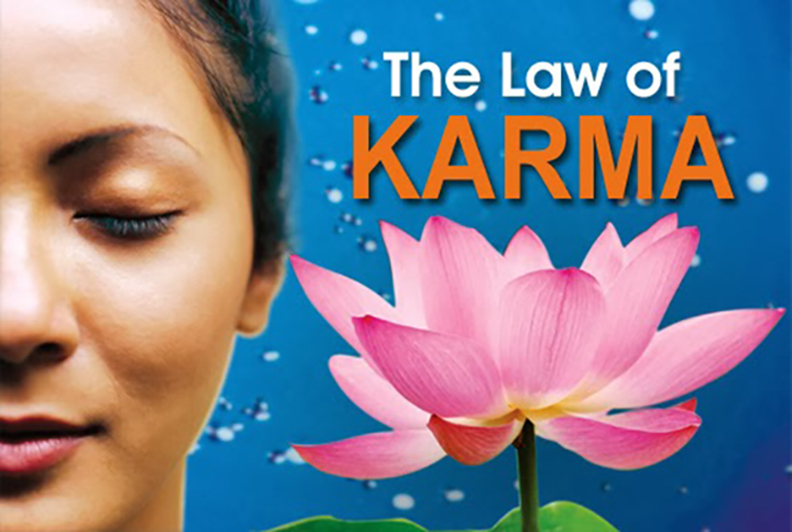 There are 8 lesser known laws of Karma that I'm about to explain. If you take them to heart, you will profoundly change yourself and your world. 5. The law of connection. The law of connection states that even if two things seem like they aren't connect, it's not the case. Everything in the universe is connected. The left foot taking a step is connected to the right foot taking the next step. Equally, past, present, and future are all connected. 6. The law of giving. The law of giving states that in life, when you give, you get. If you hoard and miser your way through this world, if you keep your arms crossed and your doors locked, doors you'd like to unlock never will. If you want an open, free, and beautiful world, you have to make it so. 7. The law of focus. The law of focus states that you can't think of two things at once. Indeed, science backs it up, noting that you can only think about one and a half things at once. This is what allows us to converse. You are listening to the person thinking, and then your half thought is what you think as they're speaking. Makes sense to spend a little time thinking before you speak, doesn't it? 8. The law of presence. The law of presence states that while it's important to look to the past to understand where we're going, it's equally important to exist in the present and not be too concerned about the future.